20 years ago, Star Wars thundered back onscreen! The Phantom Menace expanded the mythos of a galaxy far, far away....but it wasn't quite what people expected. 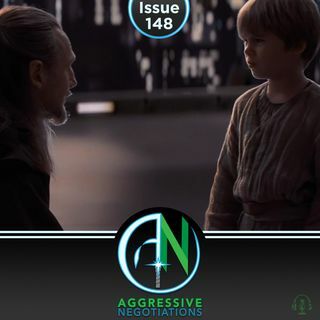 Matt and John revisit the surprising exploits of Jar Jar Binks, Qui-Gon Jinn, Padme Amidala, Obi-Wan Kenobi, and all the rest, to discuss how Star Wars in 1999 challenged their perceptions, and the perceptions of fans in general.